The investigation of DB Cooper, the famed skyjacker who disappeared into the night skies of November 24, 1971 by parachuting from his Northwest Orient flight with two-hundred grand strapped to his body, has a new mystery – what parachute did he use and where did it come from? Although these questions seem mundane, they challenge the actions of case agents and the testimony of expert consultants. The DB Cooper case is the only unsolved skyjacking in the history of the United States, and is generally considered to be in the top-ten of unsolved crime mysteries. At the time of the skyjacking, part of DB Cooper’s ransom deal with the FBI that led to the release of the 36 passengers included “two back chutes and two front chutes,” meaning Cooper demanded two main parachutes and two smaller, reserve parachutes. A reserve parachute typically lies atop a skydiver’s abdomen and is secured to the harness of the main chute. Until the book’s release in August, the common understanding – long cited by FBI officials, journalists and arm-chair sleuths – had been that a Woodinville, Washington skydiving expert named Earl J Cossey owned the chutes and had them delivered to the FBI via a taxi cab. But author Geoffrey Gray states that the two back parachutes were owned by a Kent, Washington businessman named Norman George Hayden, and that Mr. Cossey only inspected and packed the parachutes for Mr. Hayden. This parachute owned by Norman Hayden is now the center of a DB Cooper controversy. In addition, Gray cites a FBI document that specifically identifies Hayden as the owner of the back parachutes. Although at quick glance this seems to be a simple and minor glitch in federal record-keeping, the controversy leads to important questions about the nature of the FBI investigation, namely, how could so many agents get it wrong for so long. It also calls into question the veracity of Mr. Cossey and casts doubt on his role in the federal investigation. To whit: Mr. Cossey has been regarded as a technical expert in the DB Cooper case, and has consulted frequently with FBI officials on Cooper parachute issues, such as the Amboy chute find in 2009. Seeking answers, the Mountain News has spoken several times with both Mr. Cossey and Mr. Hayden. Mr. Cossey emphatically claims that the two back parachutes delivered to DB Cooper are his. Cossey described the two chutes as being different, and specifically stated that the chute DB Cooper actually selected was a military, sage-green nylon, 28-foot round canopy that was placed inside a container known as an NB 8, which is a designation for a Navy Backpack pilot’s emergency rig. Apparently, navy pilots did not wear emergency reserve, “front,” chutes as they interfered with flying the aircraft, and only relied on the one, main chute if they had to bail out. Cossey said that the second chute, the one not chosen by Cooper, was known as a “Pioneer” because the container was manufactured by a firm named Pioneer, and had been designed for use by acrobatic pilots. 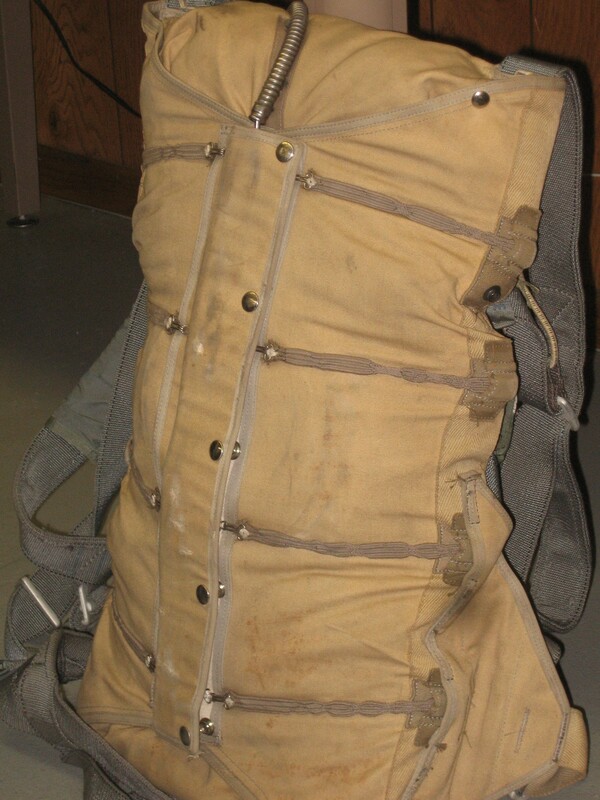 As such, it had padded shoulder and leg straps and also contained a “sleeve” over the canopy that would deploy first and thus slow down the opening of the main chute and therefore lessen the shock when it did fully open. This somewhat off-hand expression by Cossey, referring to the not-used parachute as a “sport chute,” may have resulted in sowing some confusion into the investigation. In the 1971 era there were sports chutes available, including a popular round canopy called a Paracommander, which many in the investigation including FBI agents, have incorrectly described as the second chute. As sporty and steerable as they were back in the day, Paracommanders are now superseded by today’s rectangular dual-surface, ram-air parachutes that are eminently steerable and can be flared, such that the landings are usually on target and as gentle as stepping off a bus. As a result, this advanced level of parachute technology distorts the image of the actual 1971-era sports chute capabilities in the mind of some Cooper investigators and journalists. Nevertheless, Cooper-era Paracommanders did offer a measure of true steer-ablity. They had numerous vent openings cut into the panels to give the canopy forward motion and they could be given directionality by using steering lines that selectively closed certain vents to rotate the canopy. The forward motion combined with the ability to rotate the canopy allowed it to be maneuvered much like a glider. It has been widely assumed, particularly in the media and among some investigators that Cooper’s not-used “sport” chute was a Paracommander, and thus arguably a better choice for jumping over forested mountainous terrain since it could be steered into a clear area for landing. However, in our last conversation on this subject in mid-October, 2011, Cossey stated definitively that the not-used parachute was not a Paracommander, and was simply a round military chute designed for pilots. At the time of the skyjacking, Cossey owned and operated a parachute supply company and also packed parachutes professionally, including the ones he says he sent to Sea-Tac. As part of his professional endeavors Cossey told me he had made a modification to the “Cooper” NB 8 rig for reasons he did not elaborate upon, simply saying that he had altered the location of the ripcord. Because of this ripcord modification and the nature of the sleeveless parachute, Cossey said the 28-foot round military canopy contained within the NB 8 was hard to deploy and delivered a harsher opening than the not-taken rig. Hence, he concluded that Cooper chose an inferior parachute. Since DB Cooper did not select the so-called superior parachute, Cossey feels that Cooper was not a highly skilled parachutist, an attitude that is now embraced by the FBI. It is not known how much influence Mr. Cossey’s views had on the FBI, but Cossey freely voices his opinions about DB Cooper. “He didn’t make it,” Cossey said, which is the perspective generally voiced by the FBI. “By not choosing the sports chute, DB Cooper showed his limited knowledge of skydiving,” Cossey continued. Cossey cites Cooper’s inexperience and the hard-pull from the ripcord as leading to Cooper being a “no-pull,” which concluded with Cooper cratering somewhere in the woods of southwestern Washington state. “I don’t believe he pulled the ripcord,” Cossey told me in 2009. 377 says that if the NB 8 contained a military 28-foot C-9 type canopy, which is designed to withstand high-speed jet ejection openings, it would have been an optimum choice for an exit from a 727. If the rig not-taken had a 26-foot Navy conical canopy, it too, would have been able to withstand a high-speed opening. However, if the canopy in the Pioneer rig was a sporty commercial type rather than military one as Cossey champions, then it might have been designed for opening speeds below 150 mph, which would have been a fatal choice as Flight 305’s estimated speed was 200 mph. Unless Cooper read the packing cards he wouldn’t know what canopies were packed in the NB 8 and Pioneer rigs, and if the chutes are Cossey’s, then how come he can not speak more authoritatively on this issue? In speaking with 377, who started jumping in 1968 and is still active, he said he had jumped all three types of canopies, the 28-foot C-9, the 26-foot Navy conical, and a number of 26 and 28-foot, low-speed commercial canopies. His personal choice for the Cooper jump would have been the C-9, but the Navy conical would have been a very close second if it was available and identifiable. 377 also said that many C-9s and Navy conicals had been modified before 1971 with a system called a “four-line release,” which allowed military aircrew – and sport jumpers using them as reserves – to release four key suspension lines after opening, which would give a moderate forward speed to the canopy and allow steering by pulling on marked suspension lines or using differential riser pulls. 377 directly refutes Cossey’s analysis of DB Cooper’s parachute choice. Whether the NB 8 had a C-9 inside remains for Mr. Cossey to tell us, or the FBI, but so far this information has not been made available publicly. Along those lines, the transport of the parachutes to Sea-Tac airport is also murky, and it has been widely reported that Cossey put them in a taxi and they went first to Boeing Field in Renton, and then on to Sea-Tac by private car. Why the chutes made such a circuitous route to the hijacking has not been explained in sources that are generally available, and recent attempts to clarify this matter with Mr. Cossey have been unsuccessful. As for the controversy, Coss states definitively that he owned the two parachutes and says that he has never heard of Norman Hayden, apparently not recalling when he signed a rigging card for Norman in May, 1971. However, that transaction may have occurred with no direct contact between the two men. As for what Norman Hayden has to say on the subject, I traveled to see him at his shop in Kent, Washington on Monday, October 24, 2011, and upon the advice of many in the skydiving world I invited Graham, WA resident, Bruce Thun, to accompany me. 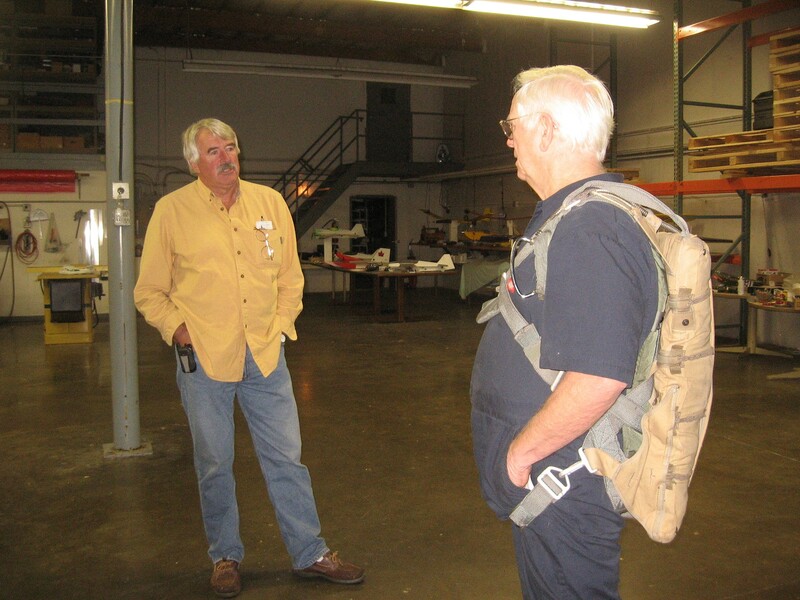 Norman Hayden, wearing his Pioneer back parachute, with Bruce Thun, in Mr. Hayden’s shop in Kent, WA. Bruce is the manager of Pierce County Airport in Puyallup, and has been around airplanes, pilots and skydivers all of his life. In addition, he is intrigued by the case, confessing to me that he puts himself to sleep at night by thinking about the skyjacking. Mr. Hayden was very gracious and generous with his time, and he showed us the “not-used” Pioneer parachute straight away. Without any fanfare he put it on a work table and said, “Here it is.” Moments later he confirmed without inflection or drama that he was the owner, adding that Northwest Orient Airlines paid him for the two chutes several years after the skyjacking. The parachute is small and very thin. In fact, I didn’t think it was a parachute when I first saw it, and I assumed it was a harness system that required some kind of parachute bag to be fully operational. “No, that’s the parachute,” Norman said without a chuckle. The notion that I was looking at a parachute that was part of the skyjacking hit me. I tried to take notes and listen to Norman, but the realization that this parachute was once carried aboard Flight 305 by Tina Mucklow and inspected there by DB Cooper was overwhelming. Wow, was all I could say quietly. It was also very heavy, and I said to myself: This is only twenty pounds? It feels heavier. As for the journey the parachute made on November 24, 1971, Norman’s remembrances and the FBI documents provided by Geoffrey Gray describe the saga in similar terms. Arrangements for the parachutes were conducted by an official from Northwest Orient, named George Harrison in the official documents. Harrison knew to call Pacific Aviation at the nearby Boeing Field because they sold acrobatic airplanes and according to FAA regulations acrobatic pilots and their passengers had to wear parachutes, so he knew that Pacific Aviation would have a couple available. However, when Harrison called Pacific Aviation he spoke with Barry, a sales manager there, and learned that they had only conical “seat packs’ and not the “back parachutes” demanded by Cooper. Hence, Halstad recommended to Harrison that he contact one of Pacific Aviation’s recent customers, Norman Hayden, who had two back parachutes and was located not too far away in Kent, Washington, about ten miles away. Harrison called Hayden, but the latter says that he “was too busy” to deliver the chutes himself directly, so he called a taxi and put his two back parachutes into the cab. He gave the cabbie the address for Harrison at Northwest Orient operations and a receipt book for NWO to sign in confirmation of their “rental” of Hayden’s chutes. Barry says he also had called Norman and advised him that NWO had called him looking for back chutes, and that the matter was “hush-hush” and a “matter of life and death.” Barry also said that NWO’s Harrison did not mention the DB Cooper skyjacking specifically, but he soon deduced the actual circumstances by listening to the radio. Hayden says the cabbie returned with the signed receipt, but that he can’t find it presently. Nevertheless, Norman says that Northwest Orient paid him for their “rental” of his chutes very promptly – within that week. Oddly, the FBI documents say that the parachutes went to Boeing Flight Service in Seattle, but neither Norman nor Barry know where that facility is located, or even if it actuially existed and they assume the FBI document is incorrect. “I used to work for Boeing and I never heard of the place,” Barry told me. Further, Norman emphatically declares that he never spoke directly to the FBI during the parachute delivery nor subsequent investigation, yet, the Bureau’s document claims that their detailed parachute information comes from Norman. 1. Civilian luxury type, tan soft cotton material outside, 26 foot while canopy inside. The parachute inside is a military parachute. 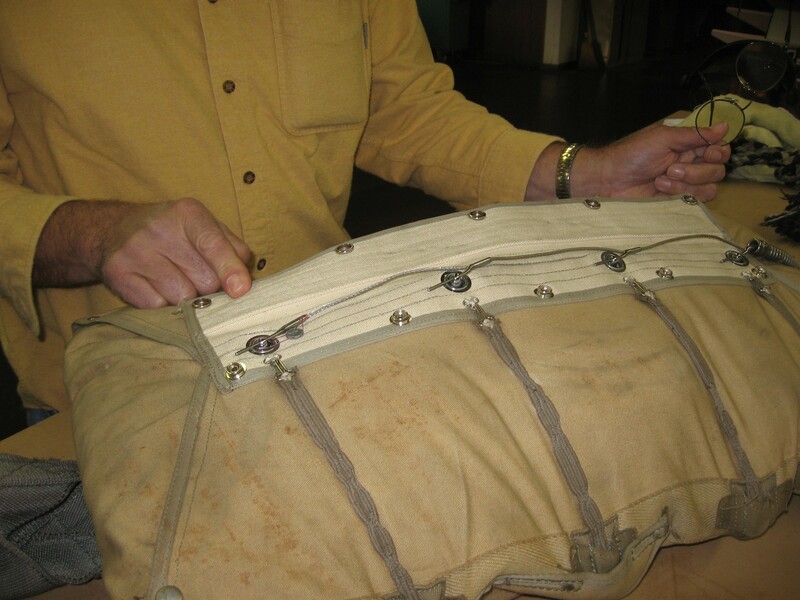 The parachute has a foam pad cushion and a fray mark down the rib on the back from rubbing on metal. 2. A military backpack parachute, standard olive drab green on outside, a 28 foot white canopy on inside. 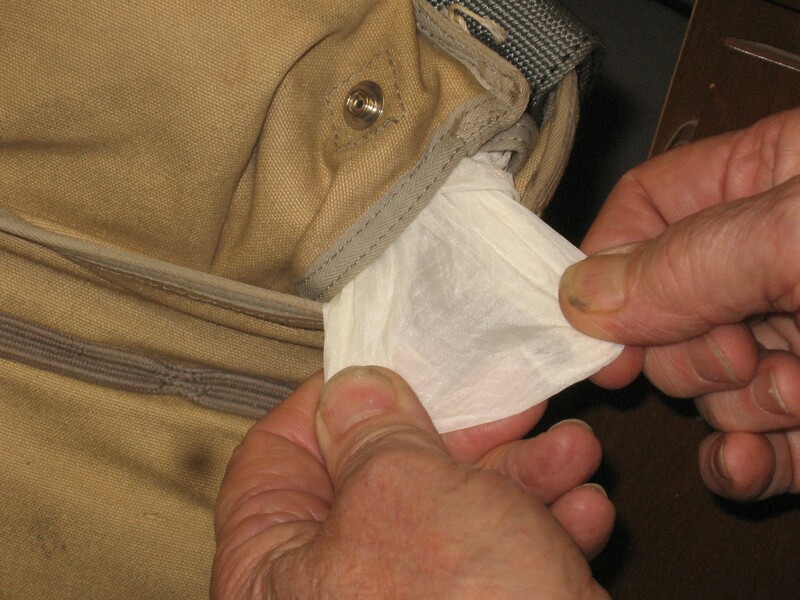 He (Norman Hayden) stated that this parachute also has a foam pad cushion. 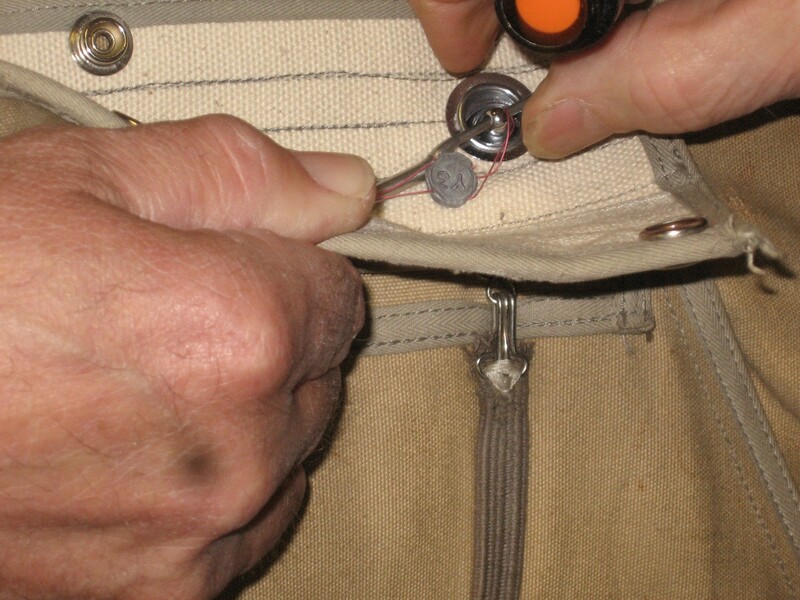 He (Hayden) stated that both parachutes bore lead seals which had not been broken and it is possible that he seals bear a confidential number, such as a rigger’s number. He (Hayden) stated that both of his parachutes were assembled for him by Mr. Earl Cossey, who works at Seattle Sky Sports in Issaquah, Washington. 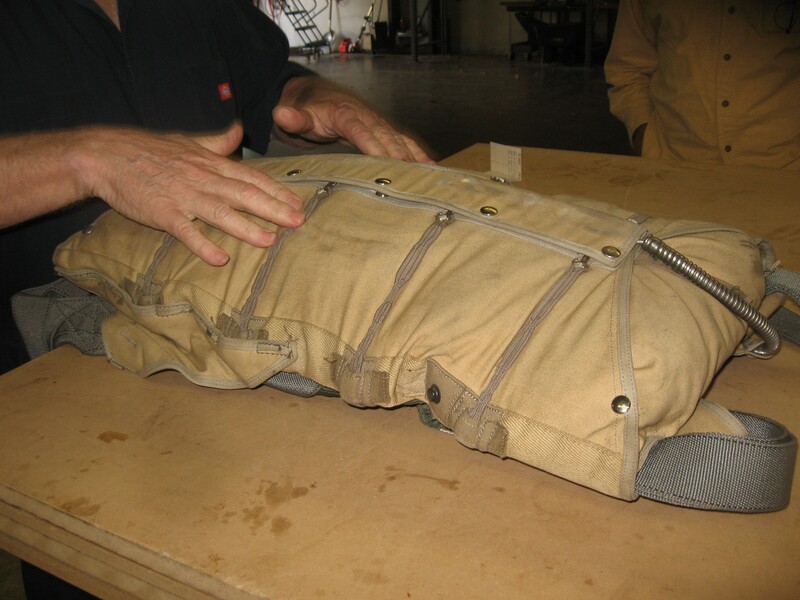 When I inspected Norman’s chute, the outside of the rig was a container possibly made of “tan, soft cotton,” as the FBI documents describe, although it looked more like a rugged duck-cloth fabric. It appeared very much like a worn Carhartt jacket. In addition, the canopy, which we did not pull out of the pack, was identified on the rigging card as a “white, 26-foot conical, rip-stop.” However, Norman was able to peel a couple inches of the canopy out of the container and it did look like white rip-stop nylon. In addition, Norman says that he recalls being told that the canopy was a military issue, which comports with the FBI report. However, he does not know where he bought or when, nor from whom. He does not remember if he bought it from Cossey, or not. Also, the lead seal was still in place by the rigging pins. On one side was stamped NWJ and the other IY3, which probably refers to the last rigger to pack the chute, an individual whose signature is hard to read on the rigging card but appears to be Wes Jeppsen, with a certification number of 532424217. In essence, the rig was comparable to what is listed as chute #1 in the FBI “parachute” document. Nevertheless, there were some variations. First, the container looked old – WWII vintage – even though the manufacturing label said April 1957. Further, I didn’t see any “wear marks,” as suggested in the FBI docs. Compounding doubts further, the harness material looked fresh, as if it came from a more current rig. Plus, I didn’t see any special padding on them, which the FBI claims should be there. Also, there was a rectangular foam pad, covered in grayish-blue nylon that looked like a little pillow and was located in the middle part of the harness, as if it was padding to make the rig more comfortable for an acrobatic pilot to wear. The container was a Pioneer, type 226, as has been described in FBI reports. I saw no “Steinthal” markings of any kind for the canopy, as FBI Cooper case agent Larry Carr has indicated on the “DropZone.” This begs the question of whether Carr or other FBI agents pulled the canopy out of the Pioneer container to fully inspect the parachute and thus learned it was a Steinthal. This suggests that there are more, yet-to-found FBI files on the parachutes. Or are the FBI documents a mish-mash of data on chutes, agent recollections, and bits and pieces of information from Cossey and Hayden? 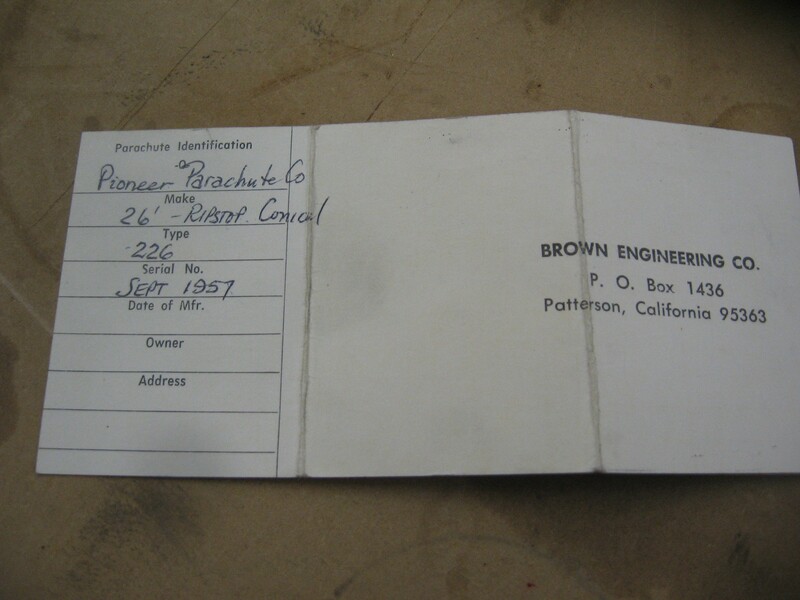 One claim from Cossey has been corroborated – that he packed the chutes that went to Flight 305 – for at least Hayden’s Pioneer chute contained its rigging card from 1971 and it bore Cossey’s signature. In addition, the chute was re-packed twice – in 1982 and 1984 – after its return from the FBI, according to Norman. 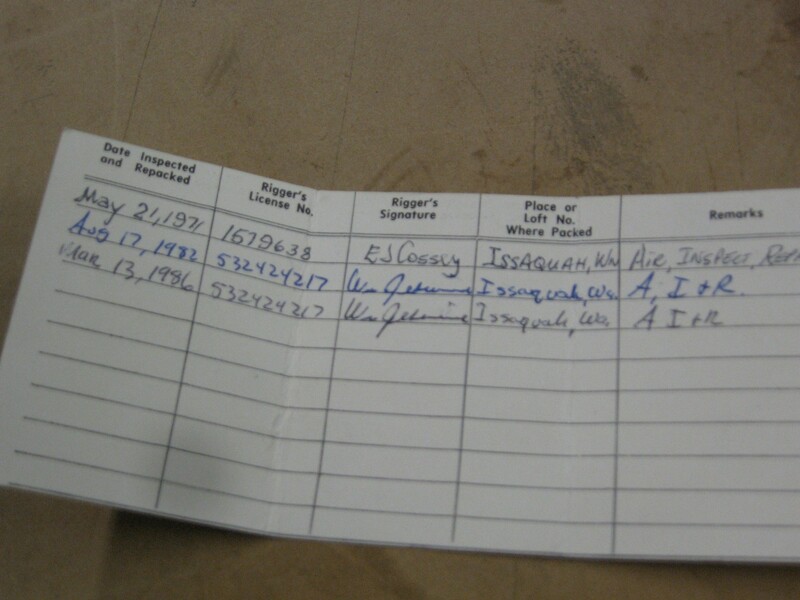 Rigging card with E J Cossey’s signature for May 21, 1971. Further, Norman says the return of the parachute was highly contentious and he had to hire an attorney to sue to get it back. “It took years, and it was in Washington, DC, too,” says Norman, although he didn’t say how he knew the chute went to DC. Norman’s difficulties with the FBI didn’t end in the court room, and the actual transfer was strained. Norman has never used the parachute, either before the skyjacking or after. “Why should I leave a perfectly good airplane in flight,” he told me, cracking a smile. Norman says he is strictly a “precision acrobatic pilot,” and he’s very proud of his flying acumen. Obviously, he has never needed a parachute. Hence, the parachute was used strictly to maintain compliance with FAA acrobatic regulations. Sadly, however, Norman was unable to provide any authenticating documents for the parachute. As for the parachute ownership debate, Norman is non-plussed. He has never met Mr. Cossey, nor has he discussed the controverary with Coss. “All I know about Earl Cossey is what I have read on the Internet,” Norman said. Barry was more dramatic, astonished to learn that there was any controversy about Norman’s ownership of the two back parachutes that went on board Flight 305. Further, he has never heard of Earl Cossey or his claims. In addition, Barry supports Norman’s claim that as far as they know, both back chutes were identical. In fact, Norman seemed a bit dismayed about bureaucratic in-accuracies when I read aloud the FBI description of the two back parachutes and their many differences. However, Barry openly wonders if the FBI received four back parachutes that day – two from Norman that were identical, and two from Earl Cossey that were not. Supporting the notion of two sets of two back parachutes, author Richard Tosaw and the renown Cooper researcher known as Sluggo, both claim that NWO’s chief pilot, Al Lee, who was stationed at Sea-Tac airport, made the calls looking for parachutes and reached Earl Cossey at home. The “Common Understanding” develops from there, and depending on your source, Cossey either took two different back chutes from his home and placed them in a taxi that headed to Boeing Field – or he sent the taxi to Boeing Field to retrieve them from some unknown place – and then they eventually found their way to Sea-Tac and Flight 305. Coupled with Hayden’s account, this suggests the possibility that two different NWO officials procurred two sets of back parchutes from two different sources, namely Al Lee getting parachutes from Cossey, and Harrison procuring his two from Hayden. As a result, four back chutes may have headed towards Sea-Tac. The description of the chutes in the official document appears to be jumbled, with elements from Cossey and his two different back chutes mingling with the scenario of Hayden’s ownership of identical parachutes. Well, if Hayden is correct and his chutes went aboard 305, the notion that Cooper proved himself incompetent by his choice of chutes is incorrect since both parachutes were identical. But, if Cossey is correct and his two different chutes were received by Cooper, the debate is still open although Cossey’s analysis is increasingly suspect. But, if only one scenario is correct – and it’s Hayden’s as the Bureau’s documents seem to indicate – why has the FBI touted Cossey for the past 40 years? Further, how can the FBI’s investigation be so messed up with case agents clearly not reading all the pertinent files, and is Cossey making it messier? A third scenario is that both Cossey and Hayden acted as good Samaritans and offered their gear to the FBI, only to have the Bureau screw up the details – and a couple extra chutes ended up in Sea-Tac. At this point, I simply do not know what the truth is, and frankly I think we’re just beginning to unravel this matter. Norman Hayden wearing his Pioneer parachute. Note the lack of padding in the harness asembly. Norman is 79 years old, and when he was wearing the chute he clowned around for us. However, in the course of the afternoon, he seemed to downplay the importance of his chute and his role in the Cooper story, although he maintains a Cooper file filled with newspaper clippings. In another strange twist of fate so common in the Cooper case, Norman built “serrated pitch adjustment” parts used by Boeing in the construction of the 727 aft stairs. As for DB Cooper, Norman’s eyes twinkled when I asked him his thoughts on the famed skyjacker. “I think he was a cool guy,” he answered. As previously described, I traveled to Norman’s shop in the company of Bruce Thun, the manager of Pierce County Airport in Puyallup, WA, also know by its original name, Thun Field, named after Bruce’s father, John. Further, Bruce’s personal knowledge of the Cooper story is substantial. In the 1971 era, Bruce was a jump plane pilot, and knew of Earl Cossey, who had a superb reputation as a skilled skydiver. Also, in his duties as the manager of Thun Field, Bruce was part of the National Geographic documentary filming in December 2008 at Thun Field, which featured Puyallup authors Ron and Pat Forman and focused on the Barb Dayton story. During this shoot, Earl Cossey was on site and Bruce met him. In addition, Norman Hayden rented a hangar for a considerable period of time at Thun Field, apparently during the 1980s. Bruce told me that at the time of the skyjacking in 1971 there were three main skydiving fields in western Washington – Issaquah Sky Sports, which is located in Issaquah, WA about 25 miles east of Seattle; a spot north of Seattle in Snohomish County; and Thun Field, which is located in central Pierce County about 25 miles southeast of Tacoma, and about 35 miles away from Mt Rainier, which can be seen in its full glory on clear days. 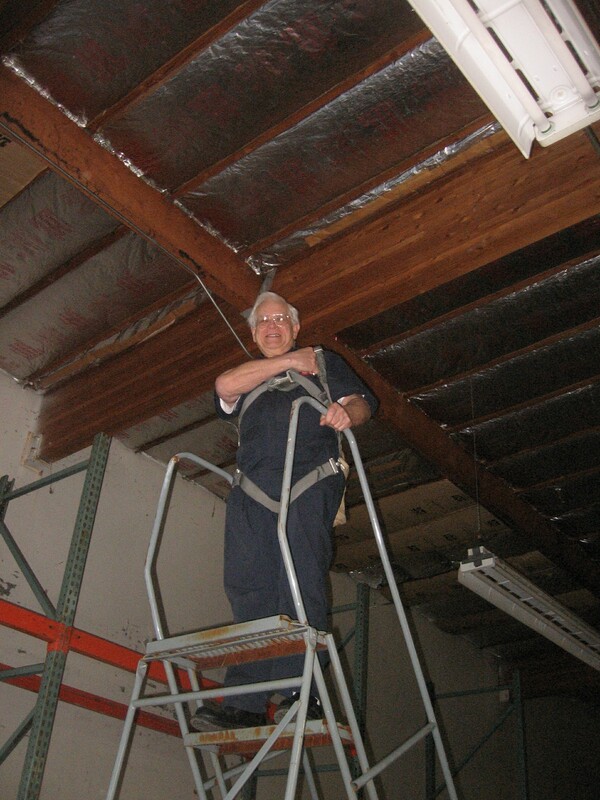 Demonstrating the power of the Cooper Vortex to create zaniness, Norman Hayden climbed to the top of his shop’s loft stairs and offered to demonstrate how his DB Cooper pararchute actually works! This entry was posted in Cops and courts, Culture, DB Cooper. Bookmark the permalink. Good bit of work on this story. Tosaw gave me one of Cossey’s NB-8 rigs and I kept it in my garage for some time. It was pretty simple, and made as a reliable chute for emergencies. This one also had Cossey’s signature on the rigger’s card, which was located in a small flap on the side. No doubt, Cooper took this one because it was made for the military and Cooper used what he was familiar with. As to “who” actually owned the chute, some of this may never be resolved after 40 years. I doubt that the FBI even cares. They didn’t pick-up or transport the chutes to Sea-Tac. That was done by airline officials and some uniformed patrol officers. The FBI was too busy setting up an operation to try and abort the hijacking at Sea-Tac. Their only concern at this point was to get the remaining hostages off of the plane if possible, or to kill Cooper. But because Cooper used intermediaries and had no direct contact with anyone on the ground, the FBI could do neither. Compared to the parachute the Norman Hayden has, what does the NB 8 look like? Are they identical looking, kind of similar, or what? Any way that Norman could have had two different chutes but think they were identical? That would be hard to believe in a man who is as fastidious as Mr. Hayden. I would think that he would closely inspect any gear that he is entrustng his life and his passenger’s. Thanks for your kind words, too, Galen. I agree with Mr. Thurston below. I want to clarify your comment about Navy pilots only wearing one chute. Pilots of fighter-type aircraft with ejections seats in all services have only one parachute. Wearing a spare chute on the front of the body would interfere with the pilot’s ability to fly the aircraft. The only people who wear two chutes are people who PLAN to jump out of the aircraft like paratroopers and sky divers. 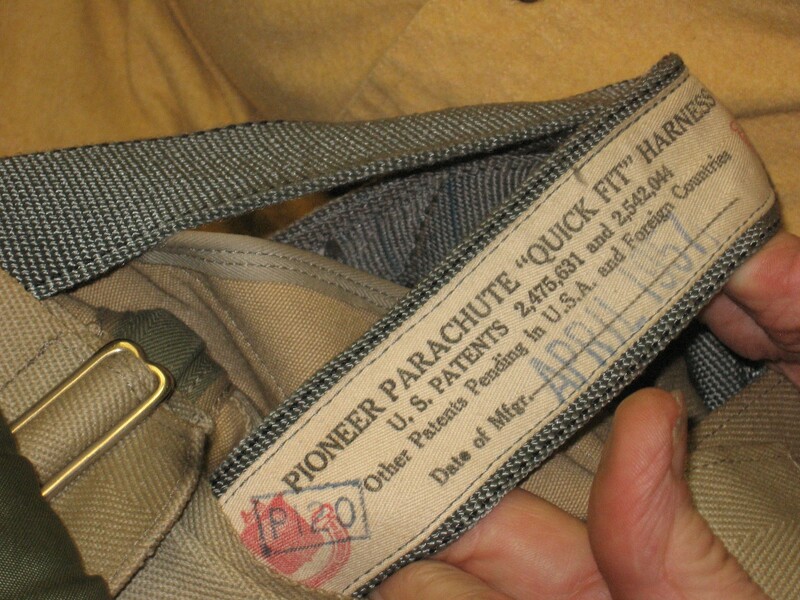 The article – including the author letting us know how he had to correct his initial mistakes – shows how easily errors creep into records when people not familiar with a field (in this case early parachuting equipment) make notes about it. The FBI may have been swayed too much by just one rigger’s opinion is what the best parachute would be, and paid little attention to being precise about the parachute side of things. I can’t compare the evidence here to everything else out there about the DB Cooper case, but this was a very interesting article for me. The FBI made an extremely detailed search of the plane after it landed. They were on board for a long time dusting for prints, taking a couple of hair samples, etc. They would have discovered if anyone was on board, no matter where he tried to hide. 1) Hayden told me he bought both chutes that he provided the NORJAK case as back chutes from a surplus place on Marginal Way next to the Boeing Development Center. He said the chutes were identical but were packed in different carriers. The carrier DB selected was the military version and the not the one lft behind by DB. The carrier Hayden is wearing in your above photo’s is a Pioneer Quick Fit and believe by Cossey to be the better selection when I talked with him.Once deployed, either chute would have performed the same as they were alike. Cossey believed the one selected would have had a harder “pull” on the jumper and showed Cossey that DB was not an experienced jumper. Cossey thereby influenced the FBI to think DB did not make it do to lack of knowledge. I believe Cossey came to the wrong conclusion possibly due to his confusion over who’s chutes were used. 2) It can be noted that the above carrier being worn by Hayden does not have “D” rings on the harness to attach an emergency front reserve. So, DB had no D rings to tie the money bag to and had to tie it around his waist as observed by one of the Flight Attendants. Congratulations on obtaining more information on the parachute issue. What you have posted here is in stark contrast to what Norman Hayden told me. 1. I asked Norman where he got the parachutes and he said he could neither remember where or when. Bruce Thun joined me in an exchange with Norman on the source of the parachutes, especially how Earl Cossey could have been involved in Norman’s procurement of them. 2. Norman said he had no recollection on where the chutes came from, and Earl Cossey was generally unfamiliar to Norman, although Norman seemed to know who he was. However, Norman had no recollection either on the packing of the chutes and said he never met Cossey, even though Coss’ signature was on the packing card. 3. We talked at length about the two chutes, and Norman repeatedly said they were identical, and he gave me and Bruce the clear indication he meant the outside carrier bag rig, as he really didn’t know what was inside, and still doesn’t. He has never opened the “not-used chute” that was returned to him. 4. When I read the FBI documents on the parachutes and their descriptions of the two back chutes, Norman was aghast at both descriptions – the used chutes and the one returned to him. When I read that the “not-used chute” was a “luxury, civilian type,” Norman sighed deeply and said, “That’s a luxury chute? Norman was vexed that the FBI could have gotten this aspect of the case so wrong. 5. 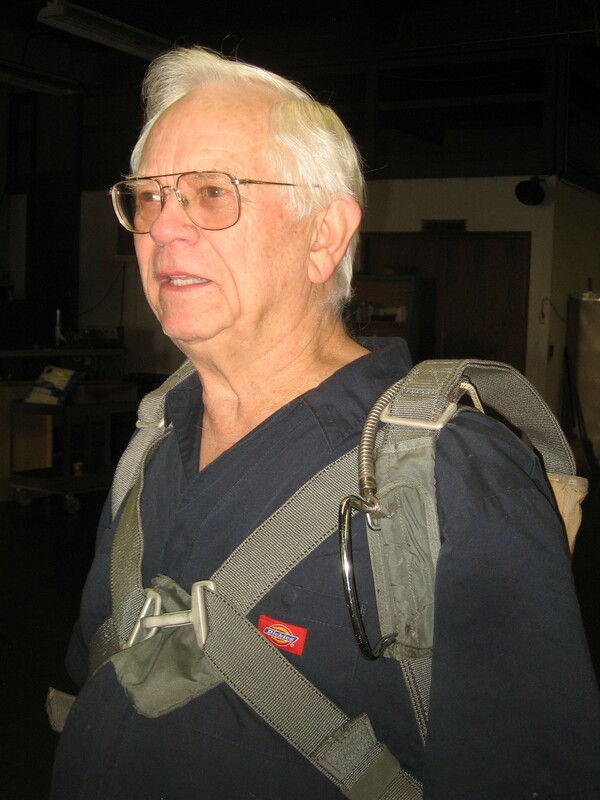 Yes, Cossey has long stated that the not-used chute was a superior chute – but not always. Apparently Geoffrey Gray has uncovered new information from the FBI files that indicate that Cossey was a strong believer in the early days of Norjak that DB Cooper could have made the jump successfully with minimal training and experience. Gray writes in the May, 2013 Esquire magazine, in an article very tellingly titled, “The Man Who Believed in DB Cooper,” that Cossey was giving professional in-services and advice to the FBI agents hunting for DB Cooper – telling them that DB Cooper didn’t have to be a hot-shot, “professional skydiver”. 6. This is in absolute conflict with what Cossey told me. First, he told me in 2009 that he had never discussed the technical aspects of the parachutes or the jump with the FBI. Secondly, he was emphatic with me and many others that Cooper was a no-pull who cratered because the chute he selected was too tough a pull due to his modifications to the rip cord. In addition, Cossey has been quoted as saying the chosen chute was an NB-8 and also an NB-6 depending on whom you talk with that has talked with Coss since he has changed his story repeatedly. In fact, Coss told me first it was an NB-6, and then he changed it to an NB-8. Further, FBI documents reflect that confusion and apparently Cossey could keep his story straight with the feds, either. 7. Did Cossey have a memory problem? A cognitive deficit? Or was he just a bad liar – and if so, why was he lying? When we learn the truth of Cossey and his memory, and by extension the cause of his murder, we may be a lot closer to undersatnding what happened to the FBI’s investigation of DB Cooper. To me, it is becoming increasingly more plausible that Cossey was part of creating a new image of DB Cooper – one of an incompetent skydiver who died. That action relieves a very real political pressure to lessen the public’s love of Cooper as the guy who beat the system. Okay if I was in a nervy situation and you offered me an M16 and one of these newer rifles that are superior to the M16 I would still choose my old friend if it’s an A1 since my familiarity will make up for the superiority of the other weapon I am not familiar with. This may be what happened with Mr. Cooper he may have been a military air crew member and very familiar with the NB8 and not familiar with the pioneer. Concur. In that situation I would take an M-1 Garand since I know I can shoot it better thn an M-16. An expereinced amateur sky-diver would have probably taken the covilian-type chute. A person unfamiliar with either would be making a random choice. So the scale tilts slightly toward Cooper being an ex-militray type, but not conclusively. Dan Cooper never left the plane (think- catch me if you can) – he was an airline employee identified early on and eliminated due to lack of knowledge/capability to jump with a parachute. The chutes were packed to not deploy properly by the FBI. “Dan”walked off the plane when it landed in Seattle. To keep the myth going he buried some money awkwardly in the sand. Think how different the investigation would be if the premise was he never left the plane. Utter bilge. This would require a conspiracy between “Cooper” and the aircrew members. The cockpit crew would have to lower the rear door, somebody (not in the cockpit) would have to throw out something to create a bump and then the cabin crew would have to hide “Cooper” when the plane landed. No evidence at all of any of this.